The trailblazing Italian-British photographer Felice (Felix) Beato was one of the first people to shoot in east Asia. 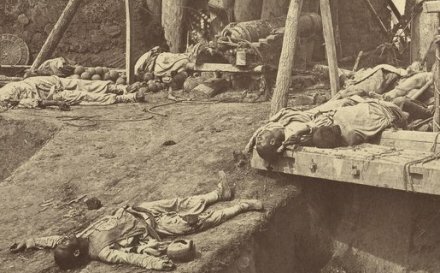 In 1858, he captured the aftermath of the 1857 “Sepoy Rebellion” in India (with possibly the first photography of corpses on a battlefield); in 1860, Beato documented in images military campaigns of the Second Opium War. 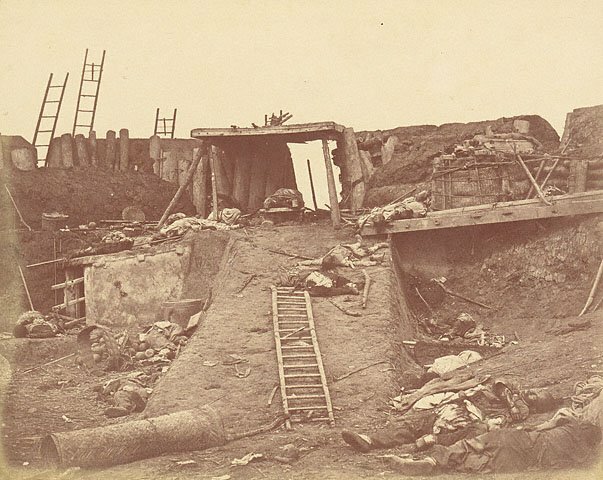 [Upon entering the conquered Taku Forts] a distressing scene of carnage disclosed itself; frightful mutilations and groups of dead and dying meeting the eye in every direction. 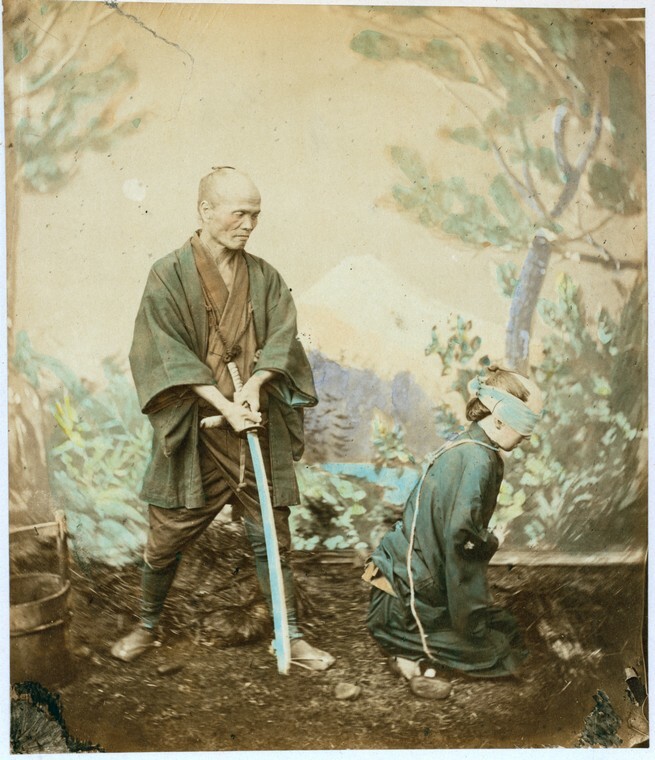 In 1863, Beato moved to Yokohama, Japan and spent the next several years capturing historically invaluable images of Japan at the close of the Edo period. In this capacity, Beato captured the execution of a young servant by the eye-catching means of Japan’s distinctive spread-eagled crucifixion. 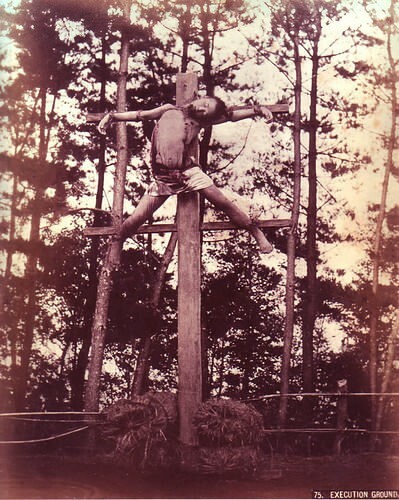 The caption on the image reads, the servant Sokichi, crucified at the age of 25* for killing Nikisasuro, son of his master Nuiske in the village of Kiso. Exact year unknown. Original versions of this image here and here. To my knowledge, there is no further documentation available about this execution that would, er, affix it to a specific date or even a specific year. 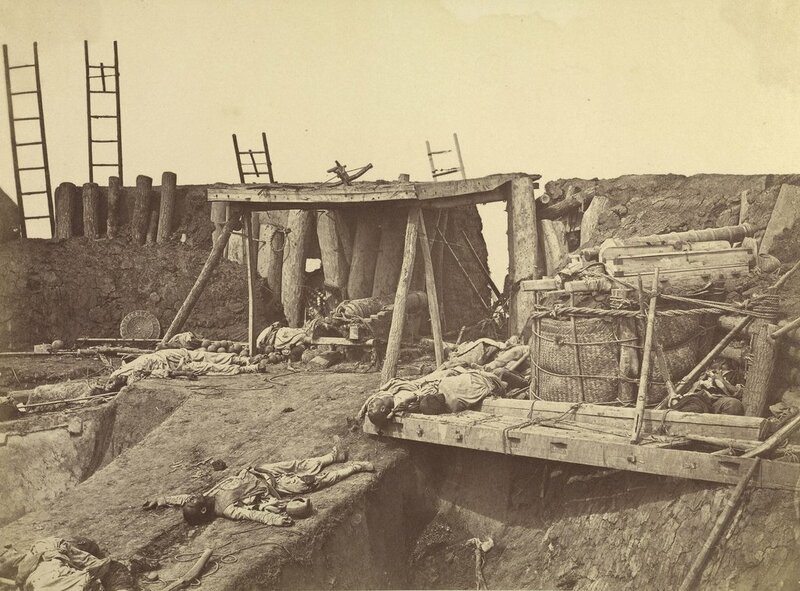 But we don’t exactly have a multitude of photographed executions by crucifixion, so we’re not going to be picky about it. 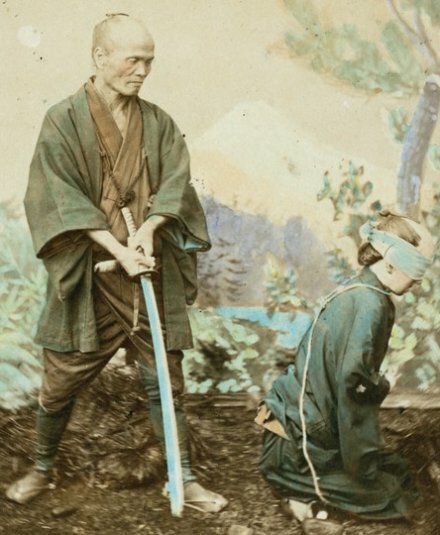 * Various ages of 22 to 25 are given in various locations for the executed servant.